It’s almost impossible to escape the constant chatter around so-called Smart Cities, but why is it taking so long for us to experience the benefits? Urban innovation is still bounded by the glacial pace of master planning, despite a world now shifting almost every 6 months. So, how can civic centers keep up? 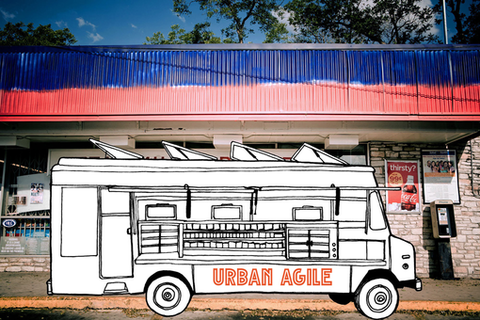 By bringing true agile and lean start-up methods from the emerging technology realm to our streets. If we put human-centered design at the heart of rapid iteration, imagine how much more efficiently we could invest taxpayer dollars. Testing assumptions we make about citizen needs allows us to flexibly adjust solutions before discovering costly errors years into an initiative. We can no longer afford to ignore this bottleneck amid mass migrations and mega-cities. In this panel, we will discuss why most civic pilots have nothing to do with true agile best practices; the big benefits that come from adopting a learning mindset; and what this might do for food deserts, for example. I specialize in articulating what makes space have a sense of ‘place.’ The hidden value of data is increased social and associational ties. As I see it, collaboration with data should be used to develop new indices for quality of life. At thrdPlace we see that there is a gap between the needs of our communities and the resources that can affect change. Organizations cannot link their sales, donation management, or civic engagement with the outcomes their community outreach is purposed to achieve. thrdPlace bridges this gap by enabling organizations to manage the causes and civic projects their consumers care about with the funds, supplies, volunteers and leadership of local communities. I collaborate with pragmatic idealists to design effective and creative solutions for social impact. As part of the founding team of GOOD/Corps, a social innovation consultancy, I've partnered with visionary CEOs and foundation leaders, start-up entrepreneurs and civic leaders to design strategic initiatives for STEM education, polio eradication, entrepreneurship, civic engagement and web literacy. In my free time, I advise early stage social innovation start-ups and social enterprises. I co-produce Idea Project, an LA-based organization that cultivates community around multi-disciplinary collaboration and social innovation. Previously, I managed domestic build and poverty housing awareness programs for Habitat for Humanity International and taught Business English skills for the French Embassy after pursuing international relations at Institut d’Etudes Politiques, Paris. As the daughter of two rocket scientists, Kaz founded Curious Catalyst to marry investigation with action, bringing a new take to the business of social impact through her experience in agile approaches. After years working with emerging technology platforms and solving larger cross-disciplinary problems in the digital agency space, she earned her stripes in the start-up world, leading strategy and operations for early social media innovators and then an open-source cloud computing powerhouse focused on the developing world. With a background across media platforms, Kaz brings a unique creative perspective to her strategy work, combining film, print, broadcast, branding and transmedia storytelling. Kaz is known for being able to switch between the detail of producing and the big-picture design thinking necessary for successful user-centered design. She is a Stanford graduate, Challenge Faculty at and a fellow of THNK, the School of Creative Leadership, and a Certified Scrum Master.